This book gives the reader a fantastic look at the history of Western Canadian stoneware, pottery, and bricks. It provides the reader with photographs of the processes involved to construct molds for the stoneware and pottery industry. The book contains a thorough history with clear details on marks and the methods and styles of different provinces within Western Canada. This book offers readers, buyers, and collectors a great insight into the types of artefacts that were being sold and bought at the turn of the century. Information has been gathered using old mail order catalogues from 1900 and 1908 and then coupled with some information already known. The book provides images and photographs of hundreds of items including; kitchen utensils, carpentry tools, storage tins, flasks & jars, and work tools. The book to have if you are looking to buy or sell clocks. 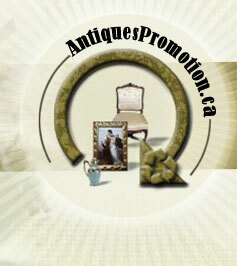 This book is a guide suited to collectors and dealers, it details a guide to prices of clocks in Canada. This guide does not inlcude museum clock collections and neither are private individuals. Most of the clocks shown were offered for sale during the past seven years (from the date of print), but the values given are those current at the time of printing. This book represents a fantastic guide for buyers and sellers of antiques and collectables. The prices in the guide are gathered from many sources, from varying parts of Canada and represents a consenus of opinions. As such the prices will vary from province to province, and from city to city, as a result of the prevailing economic climates and the locaised cost of doing business. Some of the objects included in the book consist of; pottery, glass, furniture, rocking horses, toys, dolls, watches and clocks, and bottles. This book originally comes with a CD of all the photographs. This book is a great guide to all things clocks. There are detailed photographs of all types of clock from Grandfather to carriage, with prices to match. The values in this guide are taken from many sources, and they represent the prices at that time. Unfortunately the book is not divided into chapters, although it does have a very good index to help find your specific clock. This book is in its 17th edition and represents a guide for buyers and sellers of antiques and collectables. The prices in the guide are gathered from many sources, from varying parts of Canada, and from abroad and represent a consenus of opinions. As such the prices will vary from province to province, and from city to city, as a result of the prevailing economic climates and the locaised cost of doing business. It includes hundreds of photographs for quick-and-easy reference, brief descriptions and now with lively trade information and lore. Some of the objects included in the book consist of; pottery, glass, furniture, rocking horses, toys, dolls, watches and clocks, and bottles. This book represents a guide for buyers and sellers of antiques and collectables. The prices in the guide are gathered from many sources, from varying parts of Canada, and from abroad and represent a consenus of opinions. As such the prices will vary from province to province, and from city to city, as a result of the prevailing economic climates and the locaised cost of doing business. Some of the objects included in the book consist of; pottery, glass, furniture, rocking horses, toys, dolls, watches and clocks, and bottles.